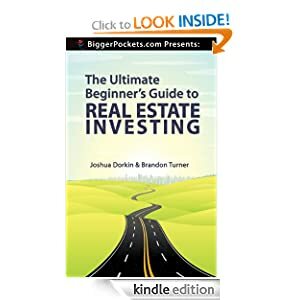 Whether you’re brand new to real estate investing, or you’ve been investing in this sector for years, you’re probably already familiar with a few different ways to make money in residential real estate. Because it has a relatively low buy-in rate and because it’s so popular, a lot of investors never consider anything beyond buying one or more rental properties or flipping distressed houses for their real estate investments. However, CRE (commercial real estate) offers a lot more options for passive income and portfolio expansion than you may have ever considered. Before you commit to your next investment, take a moment to get to know a few of the most lucrative CRE investment types that are available to you today. First off, multi-family properties come under the heading of commercial residential real estate, and they can be very profitable. Apartment and condo buildings gained considerable ground as valuable investments after the housing bubble burst in 2008, and they’ve continued to be very profitable throughout the past few years of recession and recovery. With so many people relocating for work, downsizing their living situations, and seeking homes close to where they work, these properties continue to gain popularity and value. You might think that brick-and-mortar retail spaces would be falling off with the rise of e-commerce in the United States. However, while many people do participate in online shopping, the majority of the gross domestic product in our country is spent in brick-and-mortar stores. Retail spaces and spaces built out for hospitality services (e.g., restaurants, coffee shops, etc.) offer an excellent risk-reward ratio, as leases tend to be longer, and multi-unit properties provide more stability if a tenant vacates. The economy is still improving, with more jobs being created every day. With so much of our economy dependent on and driven by industries like e-commerce and the technology sector, engineering, healthcare, etc., there’s a huge demand for functional office spaces throughout the country. Developers are working to meet that demand, but they need backing from investors who can fund these projects. Thus, office space is a great commercial real estate investment to consider. E-commerce sites and other online services need spaces to store their products, and they need facilities where they can easily and efficiently handle inventory and distribution. Industrial properties like these are in high demand as the online retail and service sector grows. We expect this type of CRE property to continue to grow as a lucrative investment over the coming years, as sites like Amazon.com make online retail more and more popular. If you aren’t sure whether or not you have the capital to invest in one of these, remember that you can find each of these types of CREs as real estate crowdfunding properties. The minimum investment on these campaigns is small enough that most investors can afford to spread their investment capital over multiple properties to gain the most diversification and stabilization as they grow their portfolios. Interest in CRE properties is at an all-time high and if you want to get your piece of the pie, then give me a try. Contact or call me today and I’ll help you on your way.